Everyone has emotions. It‘s a simple fact – a part of our being human. And whether we realise it or not, these emotions impact us every day. They also impact those around us, both in the workplace and in our personal lives. Think about it for a moment. Think of a time when you experienced an emotion; for example, joy. Perhaps you had a great weekend or accomplished a difficult task at work. How did this emotion impact your mood, your energy levels and the conversations you had with friends or co-workers? Now think of a different emotion; for example, anger. Perhaps a co-worker said something that ‘rubbed you the wrong way‘ or you thought that a friend betrayed a confidence. How did this emotion impact your mood and your behaviours? Perhaps you sent an angry email or said something in the heat of the moment that you later regretted. The Genos model shown below comprises a set of emotionally intelligent workplace behaviour competencies. Competencies represent skills and behaviours, based on underlying abilities and experiences, that are measurable and observable. The six emotionally intelligent leadership competencies of the Genos model capture the skills and behaviours that manifest from emotional intelligence abilities. The competencies of the model help us consistently demonstrate the productive being states on the right side of the model, as opposed to the unproductive being states, that we can all be at times, on the left side of the model. Self-Awareness is about being aware of the way you feel and the impact your feelings can have on decisions, behaviour and performance. People who are emotionally self-aware are conscious of the role their feelings can play in these areas, and are better equipped to manage this influence effectively. When we are emotionally self-aware we are present with the role feelings are playing in our decisions, behaviour and performance. When we are not, we are often disconnected from this influence. Awareness of others is about perceiving, understanding and acknowledging the way others feel. This skill helps us identify the things that make people feel valued, listened to, cared for, consulted, and understood. It also helps us demonstrate empathy, anticipate responses or reactions, and adjust our behaviour so that it fits well with others. When we demonstrate this skill effectively we come across as being empathetic. People who do not demonstrate this skill can come across as being insensitive to the way others feel. Authenticity is about openly and effectively expressing oneself, honouring commitments and encouraging this behaviour in others. It involves honestly expressing specific feelings at work, such as happiness and frustration, providing feedback to colleagues about the way you feel, and sharing emotions at the right time, to the right degree and, to the right people. People high in authenticity are often described as genuine whereas people low in this skill are often described as untrustworthy. Emotional reasoning is about using the information in feelings (from oneself and others) when decision-making. It involves considering your own and others’ feelings when making decisions, combining the information in feelings with facts and technical information, and communicating this decision-making process to others. Feelings and emotions contain important information. For example, the level of commitment colleagues demonstrate often provides insight into whether a decision is going to be supported; the emotional appeal of products and services often provides insight into selling and marketing messages. When this type of emotional information is combined with facts and technical information, people make expansive, creative and well thought-out decisions. Conversely, people who do not use emotional information and focus on facts or technical information only tend to be limited in their decision-making. Self-Management is about managing one’s own mood and emotions, time and behaviour, and continuously improving oneself. The modern workplace is generally one of high demands and pressure, and this can create negative emotions and outcomes. Our mood can be very infectious and can therefore be a powerful force in the workplace; productively or unproductively. This skill helps people be resilient and manage high work demands and stress rather than being temperamental at work. People who are proficient in managing their own emotions are optimistic and look to find the opportunities and possibilities that exist even in the face of adversity. Positive influence is about positively influencing the way others feel through problem solving, feedback, recognising and supporting others work. It involves creating a positive working environment for others, helping others find effective ways of responding to upsetting events and effectively helping people resolve issues that are affecting their performance. This skill helps people create a productive environment for others. Positive Influence equips you with the capacity to encourage colleagues to cooperate and work effectively together. People who can positively influence others’ moods, feelings and emotions are empowering to work with and easily motivate those around them. 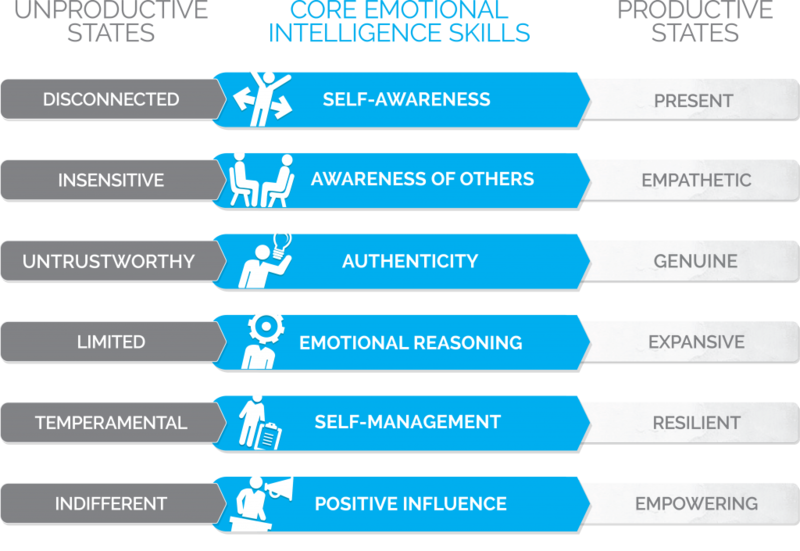 Genos emotional intelligence assessments measure how often individuals display emotionally intelligent workplace behaviour that underlie success. They are supported by a wealth of peer-reviewed research and are accompanied by beautiful reports that provide accessible and practical development suggestions. Our programs transfer cutting-edge content, assessments, frameworks, and tools into practical behavioural change that endures and has impact. The programs present a holistic approach to development by improving both foundational and functional skills for the modern workplace. Most of the material can be applied within and outside of the workplace. That’s why we call them game changing for business and life changing for people. Genos can either deliver programs for you or train you in how to deliver them. All our programs come in Train-the-Trainer formats and are customisable. Our programs have been expertly designed, tested and shown to deliver tangible improvements in business outcomes. Organisations using a holistic approach to integrating emotional intelligence into recruitment are using an EQ psychometric assessment to help identify candidates with high emotional intelligence in the initial screening. Then, to assess the short list, candidates are interviewed or then complete role-play based simulations. Successful candidates are then on-boarded, with an EI self-assessment to introduce them to expected behaviours within the workplace. This is then followed by confirmation to ensure the employees are demonstrating EI sufficiently in the business using a 180° or 360° assessment. Embedding into talent management and identification gives organisations the opportunity to benchmark their talent with the external market. The Genos assessment not only provides talent with a benchmark, but also a development opportunity. In terms of managing talent, the Genos EI Leadership 360° degree assessment ensures organisations are being led by emotionally intelligent leaders, identifies leadership or behavioural issues at an early stage, and drives a sustained culture of emotionally intelligent leadership. 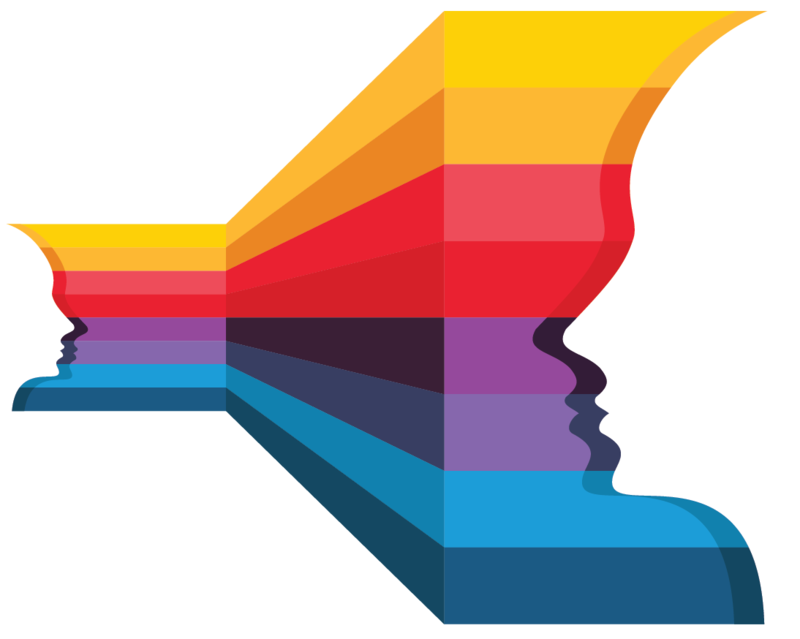 Genos’ thought-provoking Emotional Intelligence Certification Program provides opportunities for personal and professional growth, equipping you with a suite of products and techniques to expand your current capabilities. Our comprehensive two-day certification course explores the measurement and development of workplace EQ at an individual, group and organisational level. The Genos EI Technical Manual provides detailed information relevant to the psychometric properties of the Genos EI Inventory. Click here to download the Genos EI Inventory Technical Manual (2nd Edition) by Gilles E. Gignac, Ph.D. There are a total of nine chapters in this technical manual. The manual begins (Chapter 1: Introduction) with a general introduction to emotional intelligence, although a review of the EI construct and corresponding EI literature is not provided, as other published sources can be found for such purposes. Instead, the introduction focuses upon introducing the principle topic of this manual: Genos EI. Chapter 2 (Framework, Model and History) is a more theoretical discussion about the framework within which the Genos EI Inventory is embedded and the seven-factor model that it measures. Some history of the Genos EI inventory is also provided. Chapter 3 (Administering and Scoring) provides elements for consideration when determining whether Genos EI is appropriate for administration. Chapter 4 (Interpreting Genos EI Scores) includes a detailed discussion relevant to the interpretation of the Genos EI inventory scores. Chapter 5 (Normative Sample) describes in substantial detail the nature and descriptive statistical qualities associated with the Genos EI normative sample. Chapter 6 (Reliability) reports the internal consistency reliability and test-retest reliability associated with the Genos EI scale scores. Chapter 7 (Validity) reports an array of validity evidence in favour of the Genos EI Inventory scores. Chapter 8 (Nation Specific Norms and Analyses) provides norms and some basic psychometric support (i.e., reliability and factorial validity) for the use of the Genos EI Inventory in three countries: America, Asia, and South Africa. Chapter 9 (Concluding Comments) provides an overall summary of the technical manual and ends with a conclusion that the Genos EI Inventory provides scores that are both reliable and valid indicators of emotional intelligence. Finally, the 70 items within the Genos EI Inventory are listed in Appendix A. Appendix B includes a detailed discussion on the nature of the validity indices (Inconsistency, Inflation, and Deflation Indices), as well as some of their psychometric properties. We have an extensive list of published material and research papers on our assessments and development programs. These three research papers are our recommended starting places. Gignac, G. E. (2010). On a nomenclature for EI research. Industrial and Organizational Psychology: Perspectives on Science and Practice, 3, 131-135. Gignac, G. E. (2010). Seven-factor model of EI as measured by Genos EI: A confirmatory factor analytic investigation based on self- and rater-report data. European Journal of Psychological Assessment, 26, 309-316. Gignac, G. E. & Ekermans, G. (2010). Group differences in EI within a sample of black and white South Africans. Personality and Individual Differences, 49, 639-644. Below is a list of references to research papers/theses/presentations that have used the Genos Emotional Intelligence Inventory (or its predecessor, the SUEIT) in academic investigations. If you are familiar with an investigation that is not listed below, please send the reference to research@genosinternational.com for consideration. Adams, Martin (2006). An investigation into the effects of emotional intelligence on occupational stress and career success. Unpublished master’s dissertation, University of Auckland, New Zealand. Bailie, K., & Ekermans, G. (2006). An exploration of the utility of a self-report emotional intelligence measure. E-Journal of Applied Psychology, 2, 3-11. Brand, T. (2007). An exploration of the relationship between burnout, occupational stress, and emotional intelligence in industry. Unpublished master’s dissertation, University of Stellenbosch, South Africa. Downey, L.A., Papageorgiou, V., & Stough, C. (2006). Examining the relationship between leadership, emotional intelligence and intuition in senior female managers. Leadership and Organisation Development, 27, 250-264. Downey, L. A., Godfrey, J-L, Hansen, K., Stough, C. (2006). The impact of social desirability and expectation of feedback on emotional intelligence in the workplace. E-Journal of Applied Psychology, 2, 12-18. Downey, L. A., Johnston, P. J., Hansen, K., Schembri, R., Stough, C., Tuckwell, V., & Schweitzer, I. (2008). The relationship between emotional intelligence and depression in a clinical sample. European Journal of Psychiatry, 22(2), 93-98. Furnell, B. A. (2008). Exploring the relationship between burnout, emotional labour, and emotional intelligence: A study on call centre representatives. Unpublished doctoral dissertation, University of Stellenbosch, South Africa. Gardner, L. (2002). Examining the relationship between leadership and emotional intelligence in senior level managers. Leadership and Organization Development, 23, 68-78. Gardner, L. (2005). Emotional intelligence and occupational stress. Unpublished doctoral dissertation, Swinburne University of Technology, Melbourne, Australia. Gignac, G. E. (2005). Determining the dimensionality of a self-report emotional intelligence inventory (SUEIT) and testing its unique factorial validity. Unpublished doctoral dissertation, Swinburne University of Technology, Melbourne, Australia. Gignac, G. E. (2008). Genos Emotional Intelligence Inventory: Technical Manual. Sydney, NSW. Genos Press. Gignac, G. E., Harmer, R. J., Jennings, S., & Palmer, B. R. (in press). EI training and sales performance during a corporate merger. Cross Cultural Management: An International Journal. Hamer, R. (2004). Generation X: The effect of work-life balance and emotional intelligence on well-being. Unpublished master’s dissertation, Swinburne University of Technology, Melbourne, Australia. Harmer, R. & Lutton, C. (2007). Enhancing team performance through emotional intelligence coaching. Organisations & People, 14, 41-48. Ilarda, E., Finlay, B.M. (2006). Emotional intelligence and propensity to be a team player. E-Journal of Applied Psychology, 2, 19-29. Jennings, S., & Palmer, B. R. (2007). Enhancing sales performance through EI development. Organisations & People, 14, 55-61. King, M., & Gardner, D. (2006). Emotional intelligence and occupational stress among professional staff in New Zealand. International Journal of Organisational Analysis, 14(3), 186-203. Palmer, B. R. (2007). Models and measures of emotional intelligence. Organisations & People, 14, 3-10. Palmer, B. and Stough, C. (2001). Workplace SUEIT: Swinburne University Emotional Intelligence Test – Technical Manual, Organisational Psychology Research Unit, Swinburne University, Hawthorn. Palmer, B. R., Stough, C., Hamer, R., & Gignac, G. E. (in press). Genos Emotional Intelligence Inventory. In C. Stough, D. Saklofske, &, J. Parker (Ed. ), Advances in the measurement of emotional intelligence. New York: Springer. Rajendran, D., Downey, L. A., & Stough, C. (2007). Assessing emotional intelligence in the workplace: A preliminary reliability study. E-Journal of Applied Psychology, 3, 55-60. Rosete, D. (2007). Does emotional intelligence play an important role in leadership effectiveness? Unpublished doctoral dissertation, University of Wollongong, Wollongong, Australia. Semadar, A., Robbins, G., & Ferris, G. R (2006). Comparing the validity of multiple social effectiveness constructs in the prediction of managerial job performance. Journal of Organizational Behaviour, 27, 443-461. Squire, R. (2007). An investigation of the interaction between manager EI and employee EI on job satisfaction and performance in a high emotional labour occupation. Unpublished master’s dissertation, University of Northumbria, Newcastle, UK. Coetzer, W. C. (2014). The relationship between EI and job satisfaction amongst WESTCOL FET lecturers (Unpublished master’s thesis). University of Johannesburg, Johannesburg, Gauteng, South Africa. Jayawardena, L. N. A. C., & Gregar, A. L. E. S. (2012, September). Emotional Intelligence and Academic Performances of High School Students; A Case Study. In Proceedings of the first WSEAS International Conference on Economics, Political and Law Science (pp. 119-124). Kumar, J. A., & Muniandy, B. (2012). The Influence of Demographic Profiles on Emotional Intelligence: A Study on Polytechnic Lecturers in Malaysia. International Online Journal of Educational Sciences, 4(1), 62-70. Gignac, G. E., Karatamoglou, A., Wee, S., & Palacios, G. (2014). Emotional intelligence as a unique predictor of individual differences in humour styles and humour appreciation. Personality and Individual Differences, 56, 34-39. Görgens‐Ekermans, G., & Brand, T. (2012). Emotional intelligence as a moderator in the stress–burnout relationship: a questionnaire study on nurses. Journal of Clinical Nursing, 21(15‐16), 2275-2285. Gough, R. J. (2011). Stress management of North Carolina community college presidents: The influence of emotional intelligence. Unpublished doctoral dissertation. East Carolina University. Wan, H. C., Downey, L. A., & Stough, C. (2014). Understanding non-work presenteeism: Relationships between emotional intelligence, boredom, procrastination and job stress. Personality and Individual Differences, 65, 86-90. Tonioni, R. J. (2015). The relationship between emotional intelligence and leadership style among community college leaders. Unpublished doctoral dissertation, Aurora University, Aurora, Illinois, USA. Adams, M. 5, Lobb, B. (2006). Exploring the relationship between emotional intelligence and career success. In C. Stough, D. Saklofske, & K. Hansen (Eds.) Emotional Intelligence: International Symposium 2005 (pp. 115-136). Melbourne : Tertiary Press. Ciorciari, J. (2006). Biological basis of emotional intelligence. In C. Stough, D.H. Saklofske, and K. Hansen (Eds. )., Emotional Intelligence: International symposium 2005 (pp. 15-28). Melbourne, Australia: Tertiary Press. Findlay, B. (2006). Emotional intelligence and psychological wellbeing. In C. Stough, D.H. Saklofske, and K. Hansen (Eds. )., Emotional Intelligence: International symposium 2005 (pp. 217-224). Melbourne, Australia: Tertiary Press. Gardner, L. (2006). Emotional intelligence and occupational stress. In C. Stough, D.H. Saklofske, and K. Hansen (Eds. )., Emotional Intelligence: International symposium 2005 (pp. 225-236). Melbourne, Australia: Tertiary Press. Hansen, K. (2006). Emotional intelligence and clinical depression. In C. Stough, D.H. Saklofske, and K. Hansen (Eds. )., Emotional Intelligence: International symposium 2005 (pp. 237-250). Melbourne, Australia: Tertiary Press. Harmer, R., & Palmer, B. (2007). Does emotional intelligence focused coaching improve self and subordinate ratings of team effectiveness? Australian Journal of Psychology, 59, 98. Palmer, B.R. (2006). Developing finance executives’ emotional intelligence. In C. Stough, D.H. Saklofske, and K. Hansen (Eds. )., Emotional Intelligence: International symposium 2005 (pp. 61-73). Melbourne, Australia: Tertiary Press. Palmer, B. R., & Stough, C. (2001). The measurement of emotional intelligence. Australian Journal of Psychology, 53, 85. Palmer, B. R., Gardner, L., & Stough, C. (2003). The relationship between emotional intelligence, personality, and leadership. Australian Journal of Psychology, 55, 140-145. Stough, C., Palmer, B.R., Walls, M., & Burgess, Z. (2001). Emotional intelligence and effective leadership. Australian Journal of Psychology, 53, 85. Atkins, P.W.B., & Stough, C. (2005). Does emotional intelligence increase with age? Paper presented at the Society for Research in Adult Development Annual Conference, Atlanta, USA, April 6-7th. Genos makes available its workplace based emotional intelligence questionnaires free of charge for the purposes of research. Individuals and organisations are strictly forbidden from using these questionnaires for any type of commercial purpose. Each version exists in both self-report and rater-report format. The short version of Genos EI yields only a total score. The concise and full versions yield seven subscale scores and one total EI score. The concise version is recommended for research scenarios where a total EI score is of principal interest and there are some exploratory type hypotheses related to one or more of the individual seven dimensions. If there are primary hypotheses relevant to one or more of the seven dimensions, then the full version is recommended. The basic psychometric properties, as well as the normative sample means and standard deviations, associated with the three versions of the Genos EI inventory can be found in Palmer, Stough, Harmer and Gignac (2009), as well as Gignac (2010). Genos does not make available the normative sample percentile scores. For research purposes, raw scores should be sufficient. The questionnaires in PDF can be downloaded below. More complete psychometric information on the Genos EI Inventory (Full Version) is documented in the Genos EI Inventory Technical Manual. Have more questions? Read our answers to frequently asked questions.